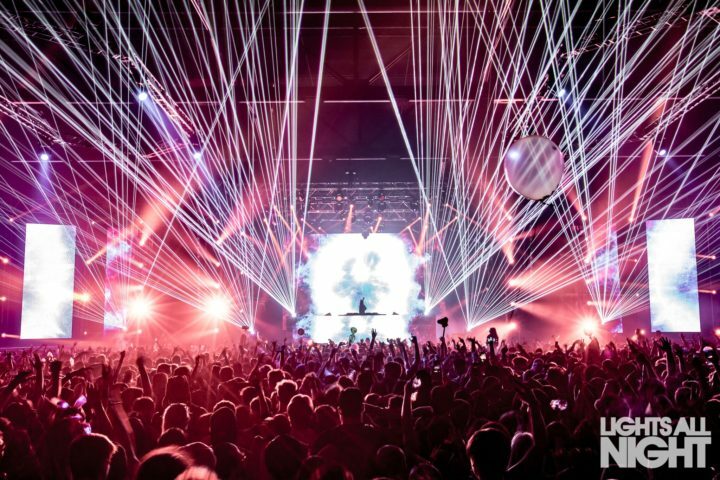 Lights All Night organizers have announced a handful of new artists who will perform at their ninth annual year-end celebration in Dallas, set for Dec. 28 and 29 at the Dallas Market Hall. New lineup additions include Kaskade, Excision, Sofi Tukker, and Jai Wolf. They join a list of over 50 previously announced artists including Diplo, Tiesto, Gucci Mane, Rezz, What So Not, Mr. Carmack, Ekali, Shiba San, Nora En Pure, and more (see full lineup graphic below). Kaskade will also perform his popular “Redux” DJ set one hour before doors open. That performance will only be accessible to attendees who purchase the new “pre-party + express entry” ticket add-on. Ekali will also perform a opening party house set. 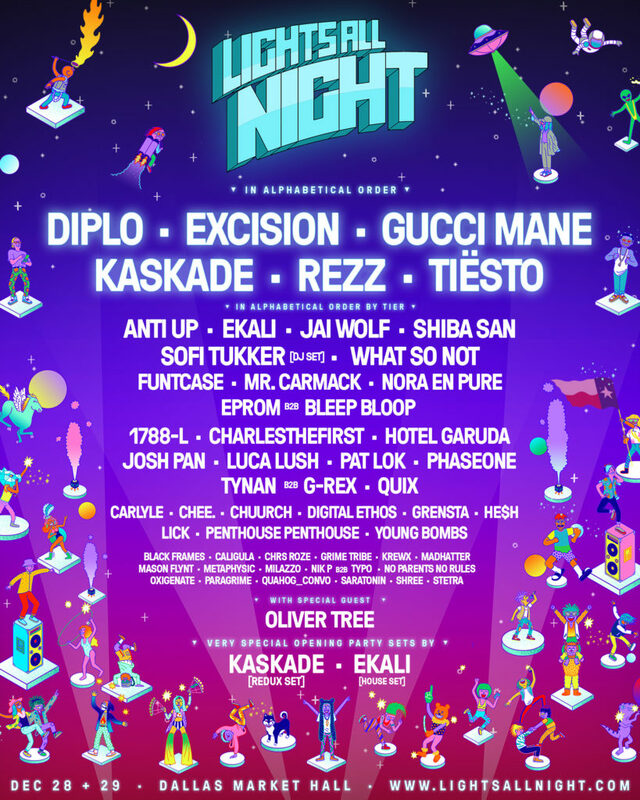 Lights All Night tickets are on sale now. Two-day general admission passes are priced at $119.95, and VIP passes start at $229.95. Pre-party, express entry, and table service options are also available.